Delight yourself with all the charm of the romantic Rhine Valley and the legendary rock of the Lorelei on this spectacular 5-day small ship cruise. 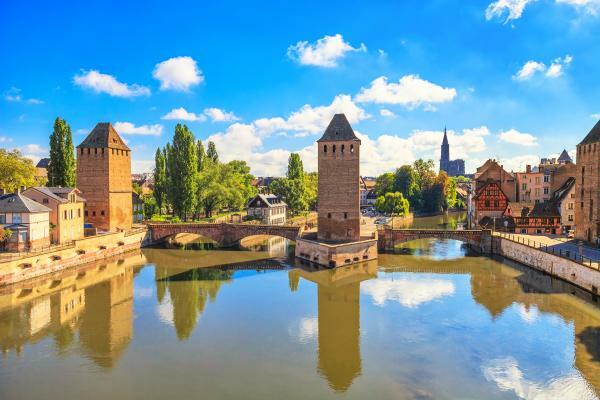 Sail through the harmonious and vibrant towns of Germany and France, making stops in Strasbourg, Koblenz, Rudesheim and Speyer. Enjoy free exploration time in every port of call and experience by yourself the culture and traditions of Northern Europe. Board your ship in the evening in Strasbourg (rue du Havre). 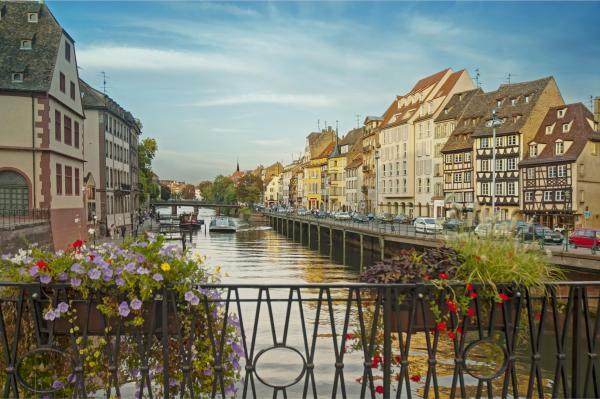 Settle into your cabin then enjoy a welcome cocktail followed by a visit of old Strasbourg in a riverboat (depending on availability). Today, sail to the towns of Lauterbourg, Spire, Mainz. 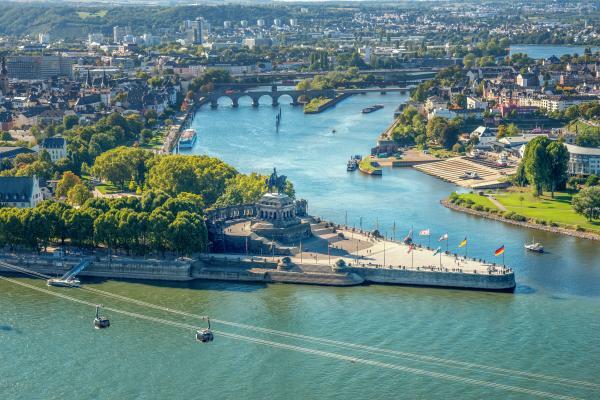 The cruise continues towards Koblenz up the most beautiful section of the romantic Rhine. Sail past the towns of Kaub, Oberwesel, Saint-Goar. 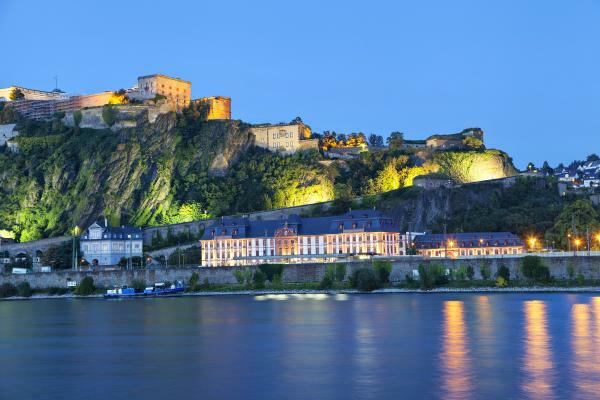 Before you reach your mooring in Koblenz, see Stolzenfels castle. Arrival in Koblenz late in the afternoon and explore the old city in the company of your hostess. 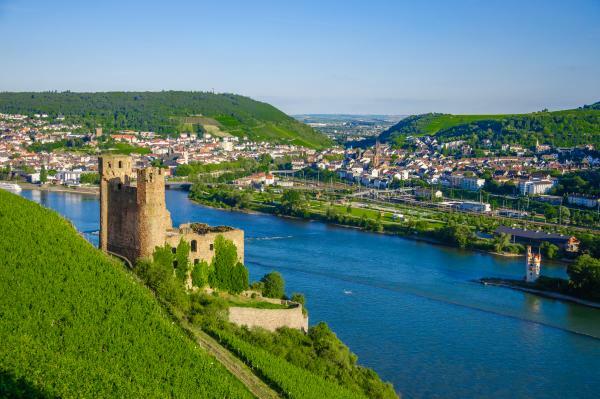 Cruise up the most beautiful part of the romantic Rhine between Koblenz and Rüdesheim. Pass numerous castles nestling in the famed vineyards and the celebrated rock of the Lorelei. Arrive in Rüdesheim early in the afternoon. CLASSIC: Departure on a touristic train, stopping at a wine tasting cellar, followed by a visit to the museum of mechanical music. The ship departs early in the morning to cruise up the Rhine to Speyer. Pass the towns of Wiesbaden, Nierstein, Worms, and Mannheim. Stopover in Speyer or Mannheim depending on berths available at the wharf. Back on board late in the afternoon. Tonight enjoy your exclusive Gala evening on board. Late this evening the ship departs towards Strasbourg. Arrive in Strasbourg in the morning and disembark after breakfast. The MS La Boheme sails along the romantic Rhine and blue Danube. Built in 1995 and recently refurbished, the La Boheme is an oasis of comfort as you sail the rivers of Europe. 52 cabins (49 twins, 2 single cabins, 1 Suite) equipped with shower and toilet, hairdryer, satellite TV, safe. Cabin size: 108 sq. ft.
28 double cabins equipped with shower and toilet, hairdryer, satellite TV, safe. Cabin size: 108 sq. ft.